This project is developing approaches for learning stochastic 3D geometric models for object categories from image data. Representing objects and their statistical variation in 3D removes the confounds of the imaging process, and is more suitable for understanding the relation of form and function and how the object integrates into scenes. The image to the right shows a simple model for chairs learned from a modest set of 2D images using the representation of a collection of connected blocks and the key assumption that the topology is consistent across the object category. The particular instances that are fit collaterally are shown in red. For the category we learn the topology and the statistics of the block parameters. Initial work formed the bulk of Joseph Schlecht's dissertation. Link to: 1) Project page, and 2) NIPS'09 paper. 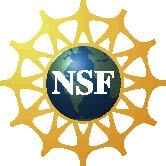 Funded by NSF CAREER grant IIS-0747511.